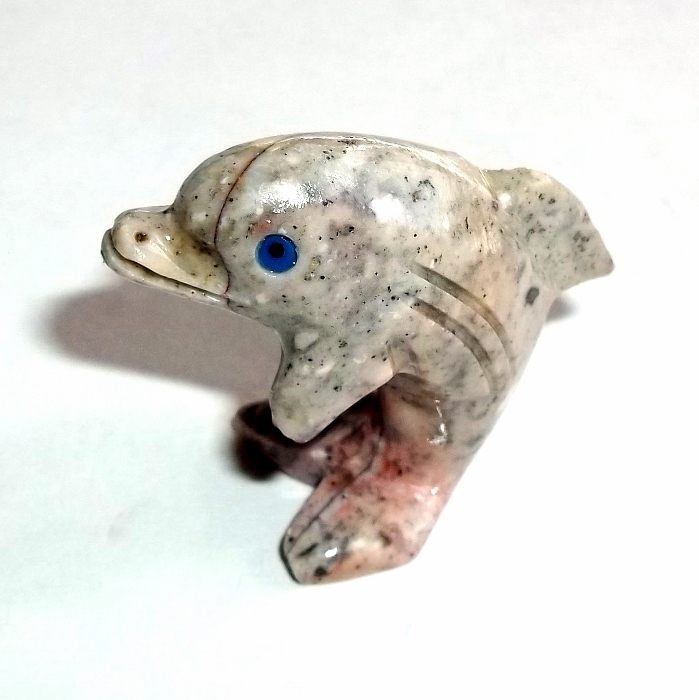 The Spirit Dolphin carved out of dolomite. 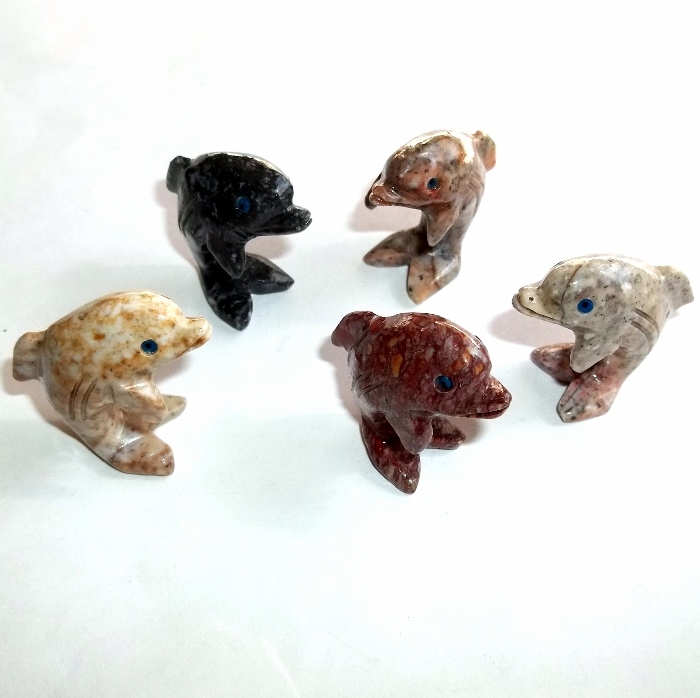 The Dolphin Spirit brings friendship, intelligence, and playfulness. Dolphins are keen observers with a well developed higher consciousness. 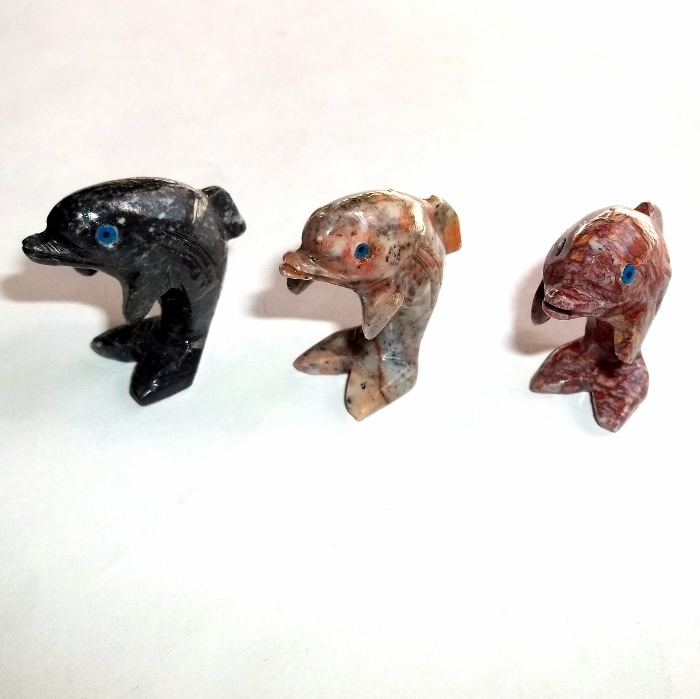 Your Spirit Dolphin will help you become more playful and loving, improve your sense of connection, and remember your dreams. Dolomite is an earth element gemstone that works with all chakras. Dolomite helps you become centered, balanced and calm and relieves anger and fear. Swim gently into my life. Teach me the ways of both air and water. Help me listen to the sounds within myself. Help me stay patient and balanced. 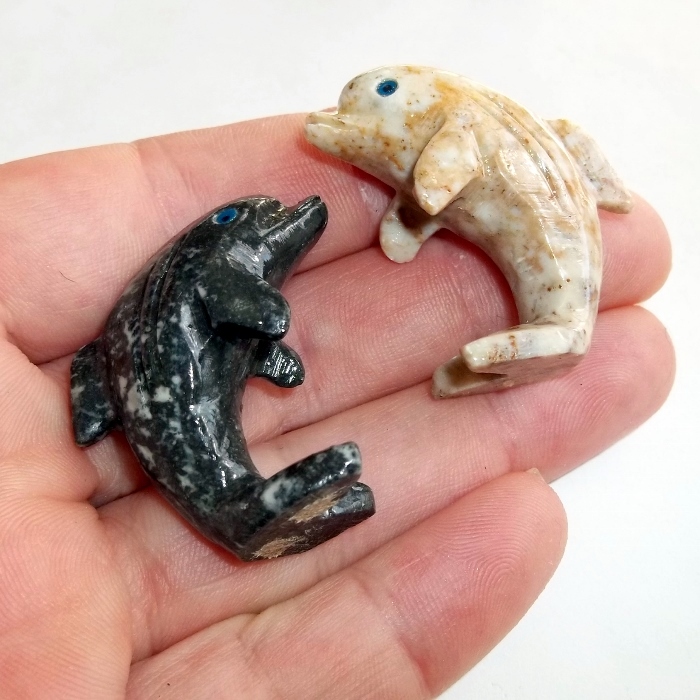 The Spirit Dolphin carving is approximately 1 1/4 inch by 1 1/2 inch and each dolphin has natural color variation. These are imported from Peru.